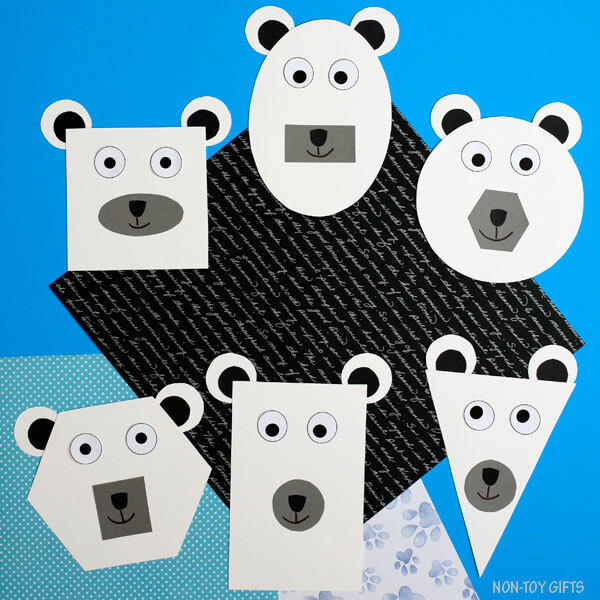 Mix, match, craft and learn! 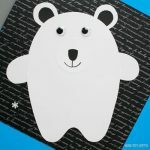 Today we’re sharing a mix and match shape polar bear craft. 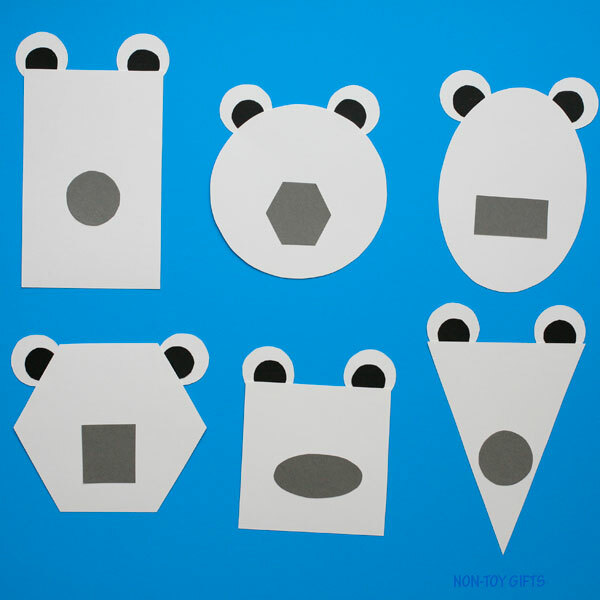 Kids will create with circles, squares, triangles, rectangles, ovals and hexagons. 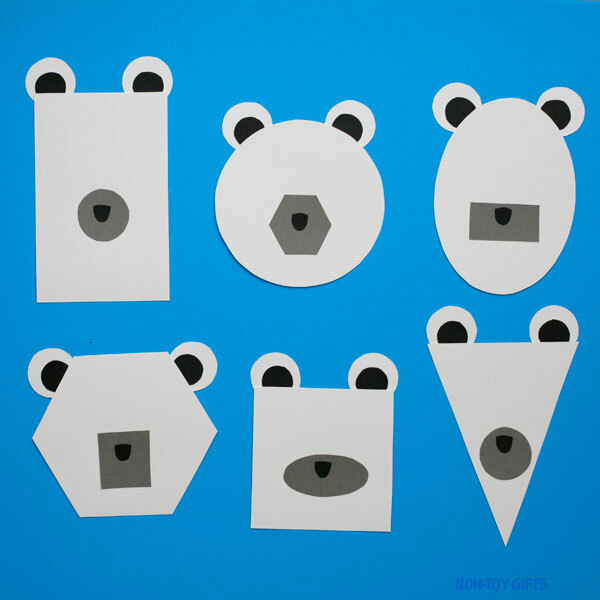 They will pick their favorite shapes and glue them together to make some adorable polar bears. 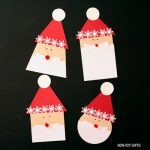 When we have came up with our first shape craft (Shape Santa) we had no idea they will be so popular. 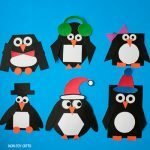 These education crafts not only fun and entertaining for the little ones, but they also help them review math. 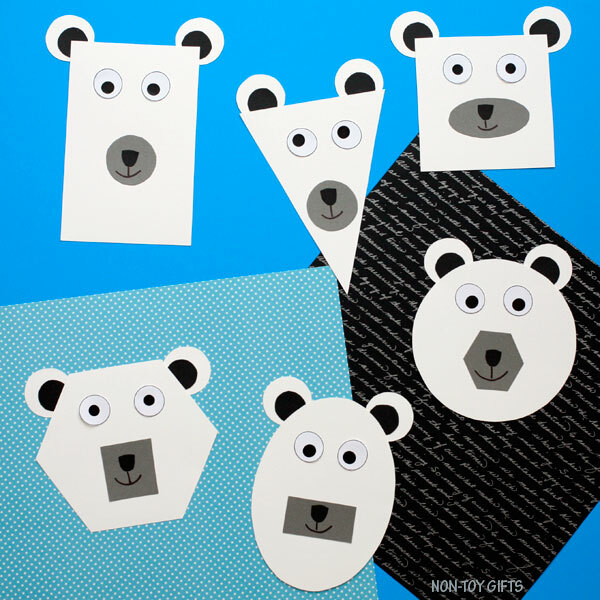 Shape crafts are well received by our teacher readers as well as parents. 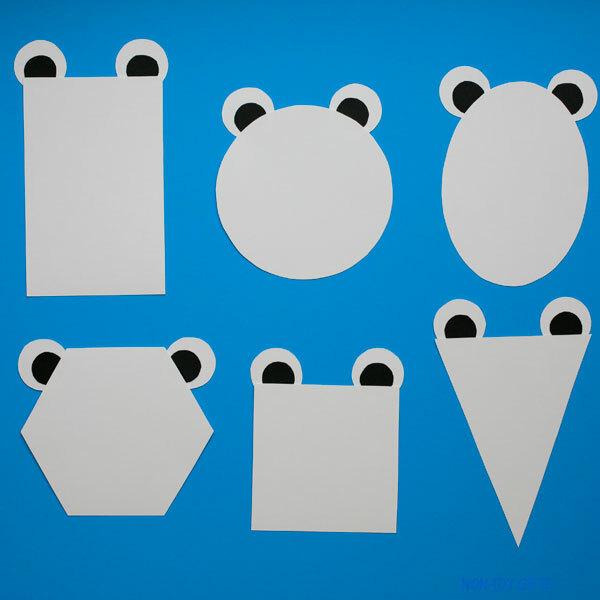 They can be a great addition to a shape unit in the classroom or a nice craft to try with mom or dad at home. 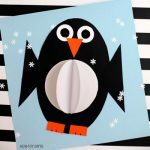 Our shape penguins are another winter shape craft option. 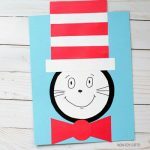 If you’re still looking for craft ideas, make sure to check out our collection of 100+ easy crafts for kids. 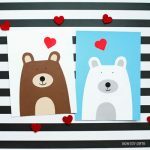 They are organized by season and holiday to help you easily find your favorites. 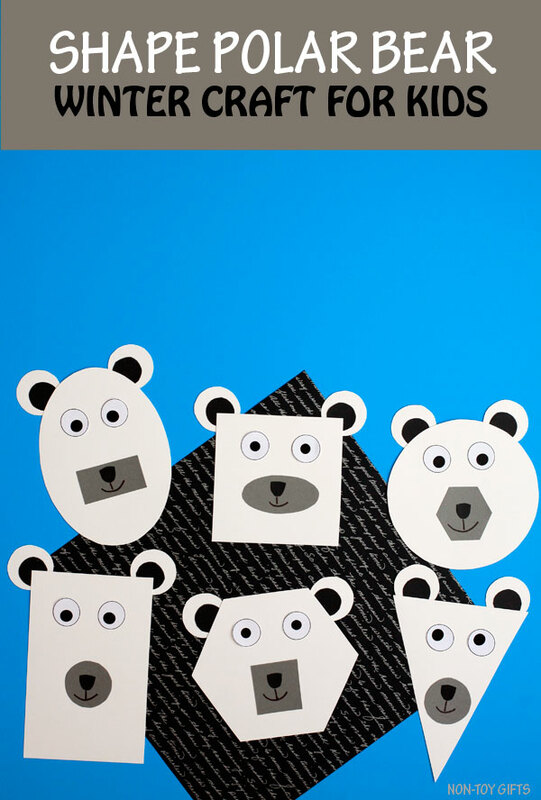 1. home template – print the template, cut out the patterns and trace them on appropriate paper. 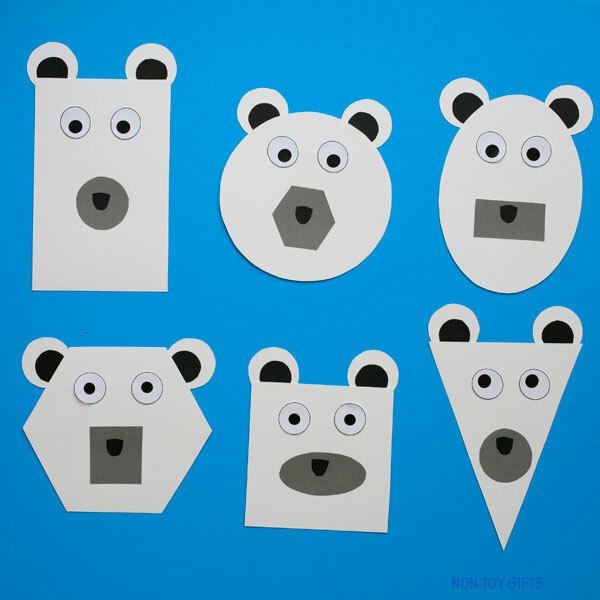 To make the shape polar bear craft, you will need 1 white polar head, 1 gray muzzle, 1 black nose, 2 white ears, 2 black ear details and 2 eyes. Start by cutting out the head. Glue the black ear details on the white ears. Glue the ears on top of the head. Add the muzzle in the middle of the head. Glue the nose in the middle of the muzzle. 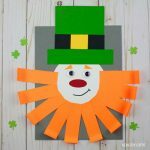 Cut two eyes and glue them onto the head. Use a black marker to draw a mouth. 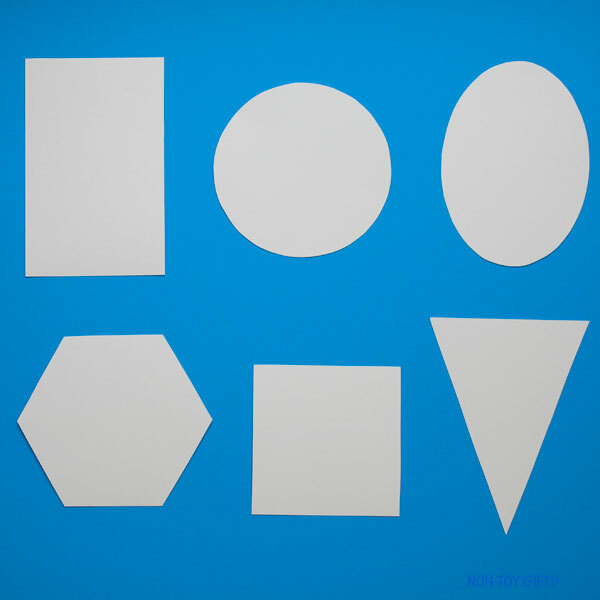 Print the classroom template on corresponding paper. 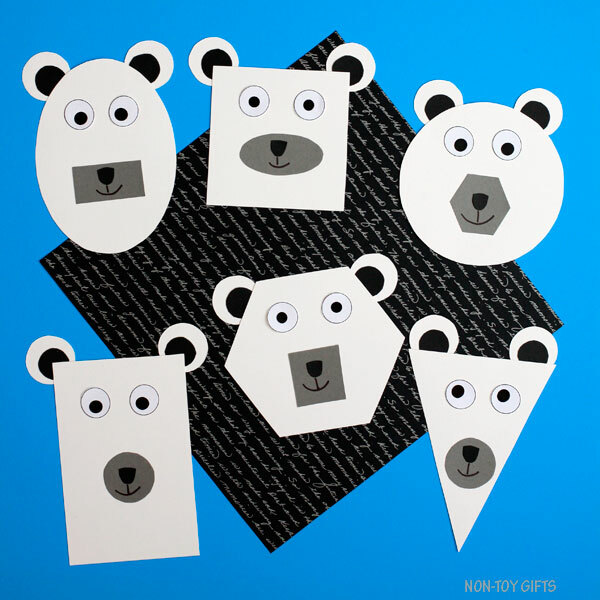 Note: For the nose and ear details, which are black, you have the option to print them either on white or black paper. 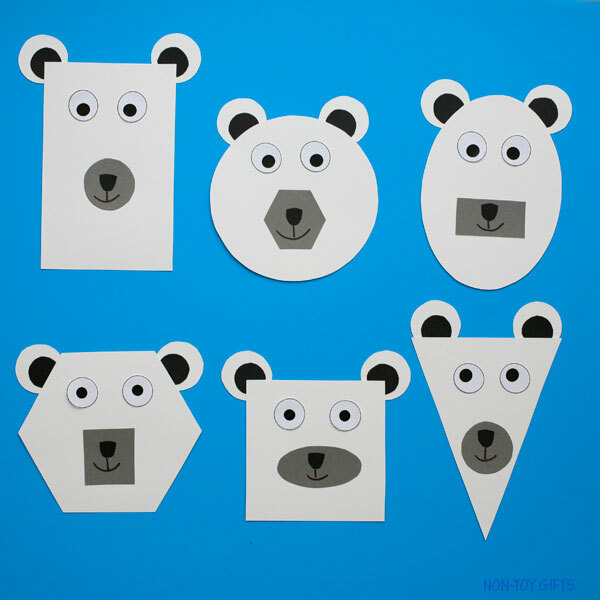 To make the shape polar bear craft, each student will need: 1 white polar head, 1 gray muzzle, 1 black nose, 2 white ears, 2 black ear details and 2 eyes.